Get out of the city and book an appointment with one of our dentists in Playas de Rosarito. Just 20 minutes south of San Diego feel rejuvenated and recharge your batteries at Rosarito Beach, and return home with great smile and healthy mouth – all for a fraction of the cost you’d pay in the USA and Canada. One of the leading resort towns in Baja California, this four mile stretch along the beach has long endeared itself as a popular getaway, particularly for visitors from the southern United States. Beautiful ocean views, beaches and associated activities means Rosarito is great fun for all ages for weekend breaks, family vacations and even for retiring to. 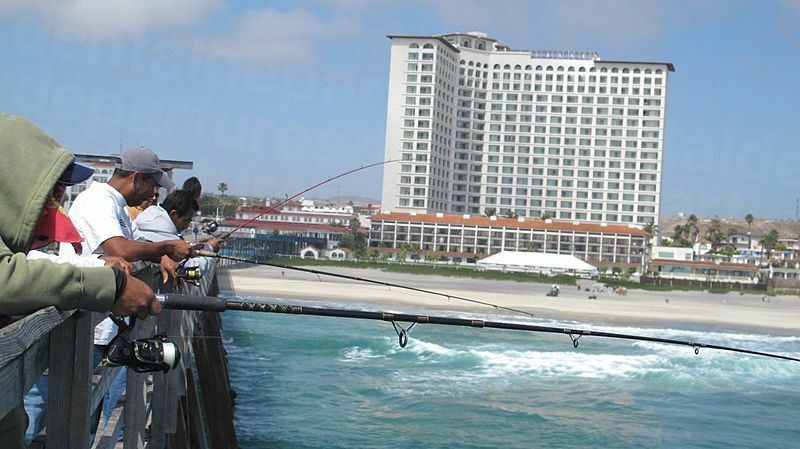 Since the 1920’s when the Rosarito Beach Hotel was built (which is still a local icon to this day) international travelers have been drawn here by its natural beauty, and activities including fishing and surfing. These days, there are a host of activities and amenities to make your visit fun-packed and enjoyable, whether you just want to take things easy, or whether you prefer to be a little more energetic. Visitors to Rosarito can expect typical Mexican hospitality and the cultural appearance of Mexico, but with the contemporary facilities and attractions the modern-day traveler expects. From ecotours to traditional handicrafts, Rosarito has something to offer all its visitors. For dental patients from north of the US-Mexico border looking for affordable dental care, Rosarito is especially inviting – being close and with first-class facilities. At Dental Departures we can help you find a quality-checked dentist, so read on or further information. Where is Playas de Rosarito? Playas de Rosarito lies on Baja California Peninsula’s Pacific Coast. It is only around 10 miles south of the United States border. 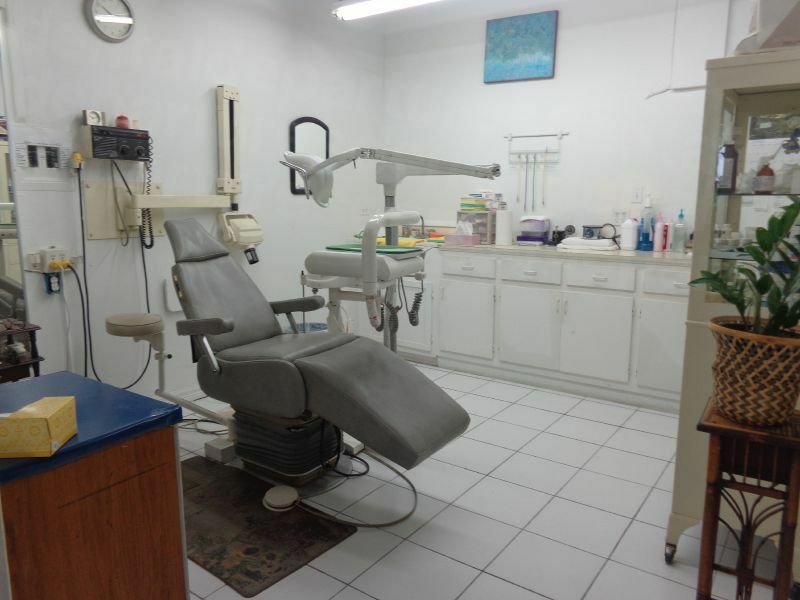 Why visit a dentist in Playas de Rosarito? Although the area sees international visitors from around the world, by far the majority of visitors are from the United States. One of the main reasons for this is its convenience. City-dwellers love to head out to the beaches for some sun and fun and Rosarito is nothing if convenient. 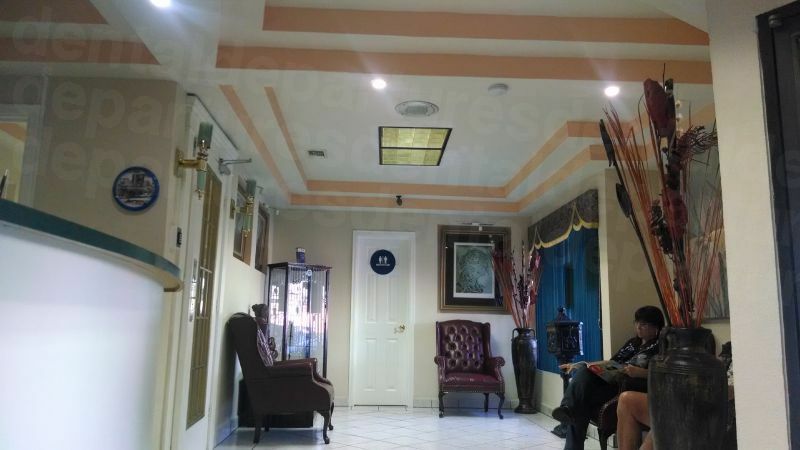 Dental tourism is not just about an exotic holiday in a far-flung place, and dental patients will find Rosarito a great option if time is of the essence. Our dentists are located in busy, accessible places such as tourist zones, so you can have your dental treatment and get back to enjoying your holiday in moments. Many of our dentists also offer hotel pick-ups, airport transfers or border shuttles so you have no need to worry about getting lost. We have quality-checked our dentists in Rosarito so you can be sure of receiving dental care that is trustworthy and reliable. You can see for yourself on our website each dentist’s qualifications and area of expertise, as well as high definition photos and virtual tours of clinics and real patient reviews. • Average cost of dental implant and crown in the US $3,900, in Playas de Rosarito $1,250. There is a fine selection of hotels overlooking the ocean to suit all budgets. Accommodation in Playas de Rosarito ranges from 5* resort and spa hotels, including golf resorts, at less than $100 a night through to budget hotels at less than $30 per night. There is no US travel advisory specifically for Playas de Rosarito, but for the northern part of Baja California it is recommended to exercise caution at night. It is worth remembering that millions of US citizens safely visit Mexico every year with no problems to their safety. Just as in any unfamiliar location, be aware of your surroundings and don’t drop your guard just because you are on holiday mode. Gone are the days when visiting a dentist in Mexico was considered a cheap and not-so-cheerful option. These days dentists in Mexico, especially those who treat international patients, are as skilled and highly-trained as their western counterparts, with many in Mexico taking training in the United States and becoming members of the American Dental Association. Find and book your dentist with Dental Departures and you are assured of receiving care from a reliable dentist who we have already checked out. Our background checks include criminal records, as well as medical registrations. We also list our dentist’s qualifications and their areas of expertise, as well as show high definition photos and virtual tours of dental clinics. Finally, we encourage all our patients to provide reviews, and these are published – good or bad – on our website for all to read. We believe that everyone should have access to affordable, good quality dental care and we try to make your trip as stress-free as possible by making sure you feel happy about your dentist. Obviously, it is natural for everyone to feel trepidation when going to the dentist, especially one abroad, but won’t your trip be so much more enjoyable if you know you are seeing a reliable dentist? Fortunately, it is an extremely rare occurrence for things to go wrong, but all of our dentists have warranties or guarantees, not just on their work, but on the materials used too. If something is wrong then you only need to speak to us at Dental Departures and we will act as your advocate and ensure that it is put right. For your complete peace of mind, if you are worried about having to incur additional travel and accommodation charges should you need to travel back, we have partnered with some insurance companies who offer reasonably priced policies for this eventuality. No. There are a great many visitors and ex-pats in the area from the US, and English is widely spoken everywhere. Our dental clinics in Playas de Rosarito all accept US dollars, but other payment methods vary from clinic to clinic, but usually debit cards, bank transfers and personal/travelers checks are accepted. Debit cards usually incur a small processing fee of 3-4%. Check each clinic’s listing on our website to confirm. Your dentist in Rosarito Beach will usually not be able to bill your insurance company directly. But, if you check with your provider before you travel to see if they allow ‘out-of-network’ care then they may reimburse your expenses once you have returned home. If this is the case be sure to get all the appropriate documentation or paperwork from your provider to bring with you on your trip. Playas de Rosarito has mild temperatures throughout the year, with rainfall being concentrated in the winter months – March usually being the wettest time of year, and July the driest. Our dentists are open all year round so anytime is a good time to visit. Just be aware that certain holiday times may be busy and you may need to book accommodation well in advance. Rosarito Beach is pretty much like the rest of Mexico for wheelchair users – some places are better than others. Some sidewalks may have cut-outs, others not. Most high-end hotels, and especially the resort hotels, have accessible rooms, but it is always wise to check. Getting around, Mexicoach offers first-class wheelchair-accessible buses and shuttles from San Ysidro through Tijuana and Rosarito. We will always find ways of getting you to one of our great dentists, so just get in touch and we’ll see how we can help. Crossing back into the US at the border can take some time. Be prepared. Have cold bottled water with you if you are driving. Dental patients should note that in Mexico local anesthetic is the preferred method of pain relief. If you are going to require sedation it can be arranged by most of our dentists, but you will need to request it in advance as the services of an anesthetist are required. This will incur an additional fee of between $400-$600. Patients should also note that anxiety medication, such as Valium, will also need to be ordered in advance. What else is there in Playas de Rosarito? Most people come to Rosarito for the beach and ocean and it is no coincidence that a great many activities can be experienced on the sand or in the water. There are some good surf spots around the area, especially south of the town, and on the beach you can ride dune buggies, horses and even camels! Throughout the year there is a full program of events, from farmers’ markets where you can sample cheese, wine and organic produce with live entertainment for the whole family, to beach volleyball tournaments, to beer festivals and art exhibitions. Just out of town is the New Port (Nuevo Puerto) lobster village – recognized as the home of the world’s most delicious lobster, served to an original Mexican recipe. Nuevo Puerto has grown from a small fishing community in the 1950s to a world-class resort and is a popular destination in its own right. The Rosarita Canyon offers ecotourism with horse trails, pools, barbecue pits and sports pitches part of the recreational activities, and the Artisans corridor on federal Highway 1, just through Popotla is a handicraft haven with decorative items for sale fashioned in wood, clay and iron as well as fantastic local cuisine. Rosarito has a few European-style spas where you can be pampered and relax in style – a must for golf widows if your husband is enjoying the challenging fairways at the Real Del Mar Golf Course, on the road between Rosarito and Tijuana. The nearest international airports are Tijuana in Mexico, and San Diego, just over the border in California. Many people choose to drive, taking the San Ysidro crossing at Tijuana and traveling down federal Highway 1. It’s around a 20 minute drive. It’s easy. Book an appointment with a Rosarito dentist online, call us toll-free or use our online chat facility. With Dental Departures you’re always assured of quality-checked dentists, and the best prices available – guaranteed.